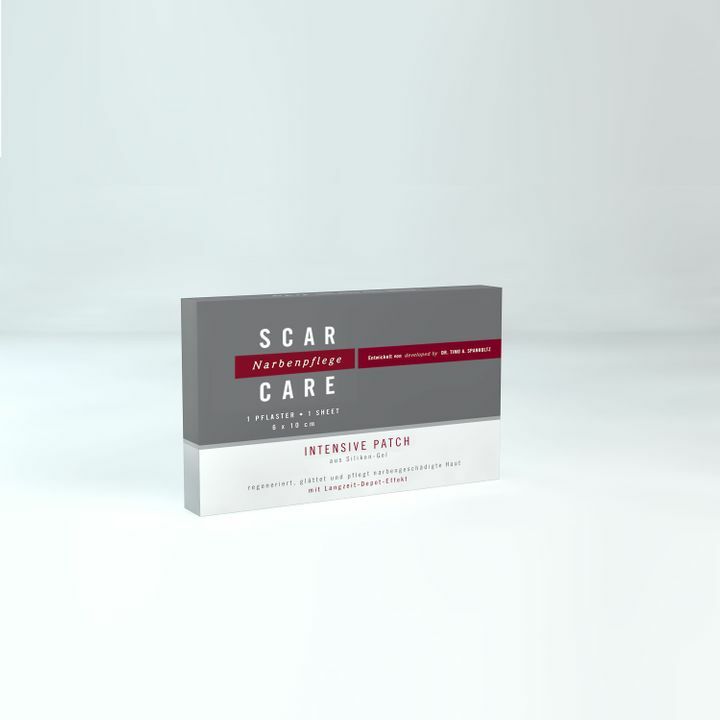 The Intensive Patch by Scarcare® supports the regulation of the temperature and water balance of the skin and can also stabilise affected skin areas. It is particularly well-suited for parts of the body covered by clothing, e.g. in the case of scars on the stomach, arms or legs. The team headed by Dr. Timo A. Spanholtz form leading scar experts, scientists and pharmacologists. The before and after comparison shows: Scarcare® brings you closer to the invisible scar. If a flawless, aesthetic body ist important for you, you won't make any compromise. The specialized scar care of Scarcare is highly innovative. The formula of ScarCare scar cream and ScarCare scar pen is based on the patented ingredient Spiralin®. Scars tell many a story, and are often a lifelong reminder. With Scarcare® scar treatment you can now decide for yourself which story your body will tell and which memories you carry with you. 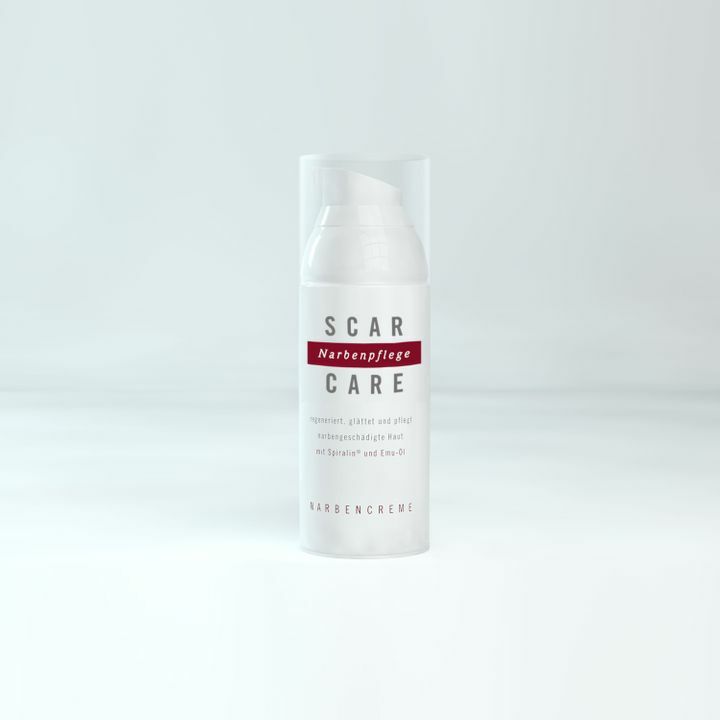 For the aim of Scarcare® is the invisible scar. Having a flawless, aesthetically pleasing body is important to you – don't make any compromises. Thanks to Scarcare® scar treatment you no longer have to avoid doing things just because it might leave behind a nasty scar. Treat your scar with a high-quality specialist treatment and only carry the most beautiful stories and memories with you. In order to achieve the best result, Scarcare® scar treatment contains highly effective active ingredients found in nature, and based on the long-term scientific research of Dr. Timo A. Spanholtz and leading scar experts. 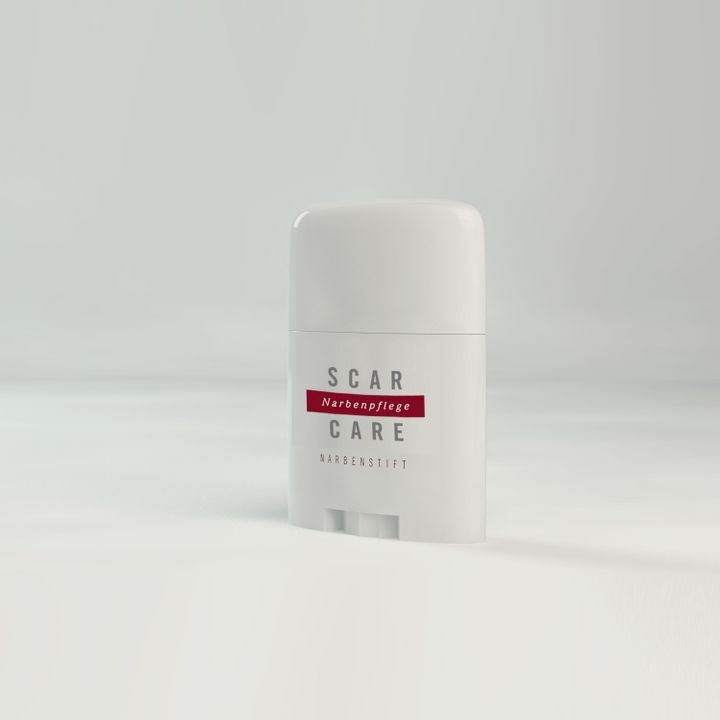 The aim of Scarcare® is the invisible scare. Scarcare® scar treatment can positively influence the regeneration of the skin, making tissue smooth and accelerating healing. Scarcare® scar treatment is designed to treat deep scars, such as those produced as a result of surgery. Soft, smooth skin and normal skin colouration are the aim of the treatment. In many cases, the appearance and structure of the skin can be considerably improved as a result of regular treatment. The products within the Scarcare® scar treatment system are optimally tailored to your requirements – from specialist care for Caesarean section scars to invisible treatment for areas not covered by clothing. 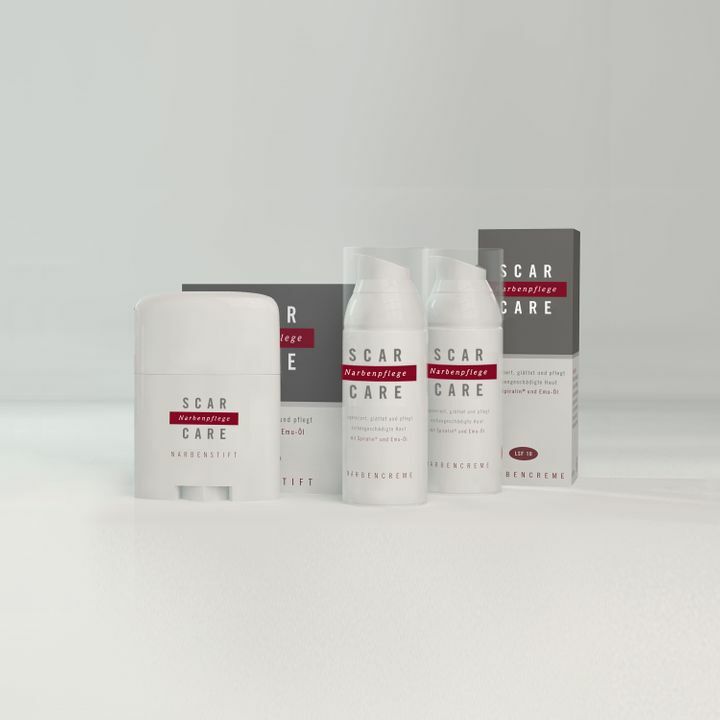 Scarcare® scar treatment works best when used on a fresh scar. You should therefore start thinking about scar treatment prior to undergoing surgery. Feel beautiful again after surgery and show off your breath-taking side! The Scarcare® story began with customers' desire to avoid visible scars following aesthetic surgeries such as breast enhancements, facelifts, breastlifts and abdominoplasty. For an aesthetically pleasing body of course means flawless skin. In seeking to fulfil this wish, Dr. Timo A. Spanholtz – developer of Scarcare® – sought out partners with whom to achieve this goal. 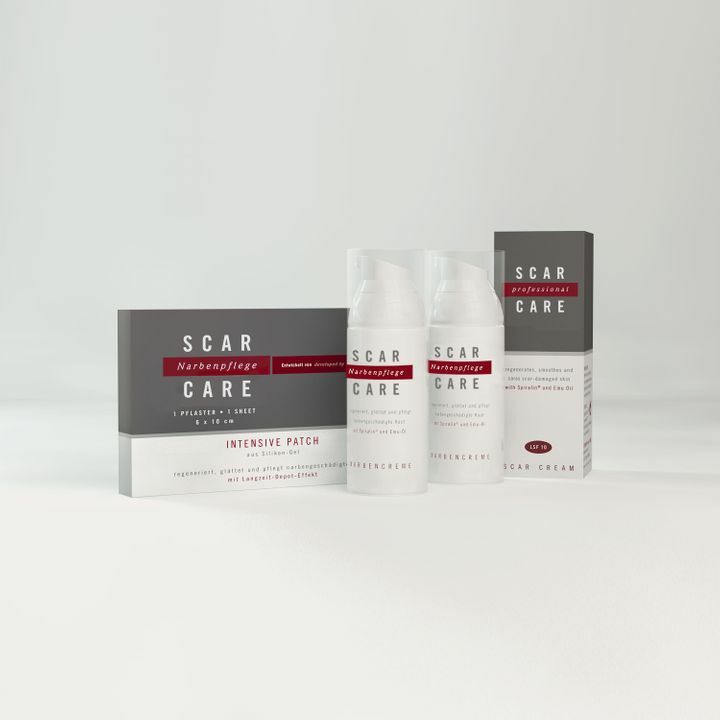 An international team of developers composed of natural scientists, pharmacologists and scar experts worked and conducted research for years, until the recipe had been perfected and Scarcare® scar treatment was ready for market release. In numerous interviews with experienced specialist physicians, the experts investigated the desires and requirements with regard to Scarcare® products. Based on these findings, they formulated an exclusive scar treatment range. 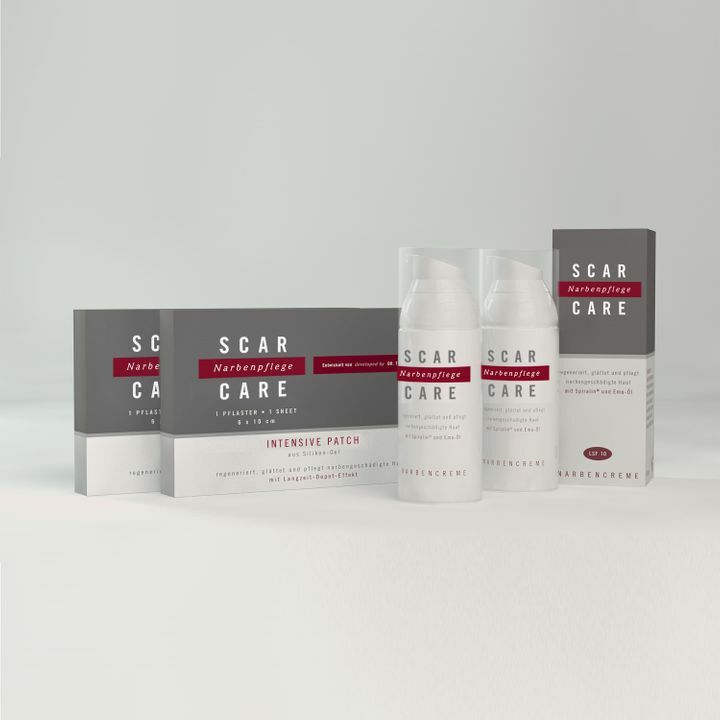 Learn more about Scarcare® scar treatment products and sets here and get to know the team behind the Scarcare® scar treatment range.